Where can I find the DOE-2 reports in EnergyPro? FAQ Where can I find the DOE-2 reports in EnergyPro? 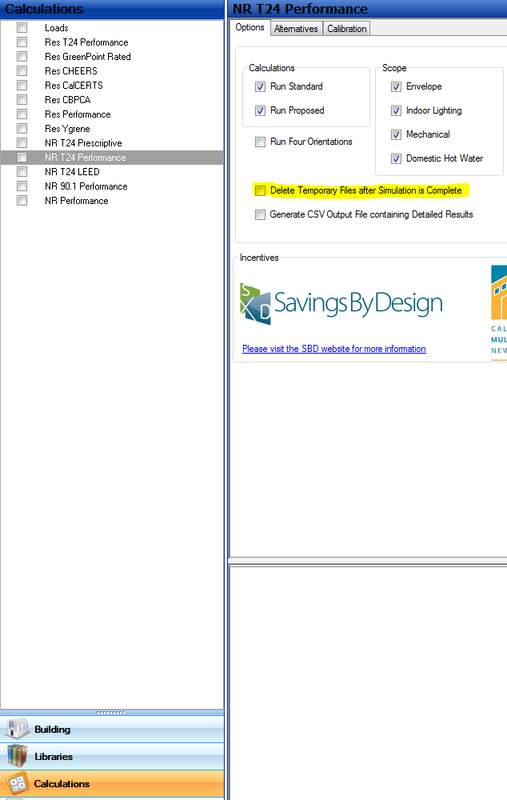 At the Top level of the Building Tree, Utility Tab, you will find selections for all of the available DOE-2 reports. Select them as necessary but be careful, if you select too many, DOE-2 will not run since it is more reports than it can handle. Now, go to the Report selections in EnergyPro and choose the Proposed (or Standard) DOE-2 report selections in the list of reports and hit print. Also you can go to My Documents\EnergyPro 7\Results\ProjectName and you will see the files with the .SIM extension, these will contain the same reports. ← Where can I find the DOE-2 reports in EnergyPro?